This sounds like my kind of book. Just snatched it up on my Nook. Looking forward to starting it. Alas these silly bosses insist I actually do work until lunchtime. I had an attorney whose immigrant father sold fruits and vegetables from a hand-pushed cart. The lawyer dressed expensively, was driven to make a mark on society, and his big Cadillac had the license plate GOOMBAH. 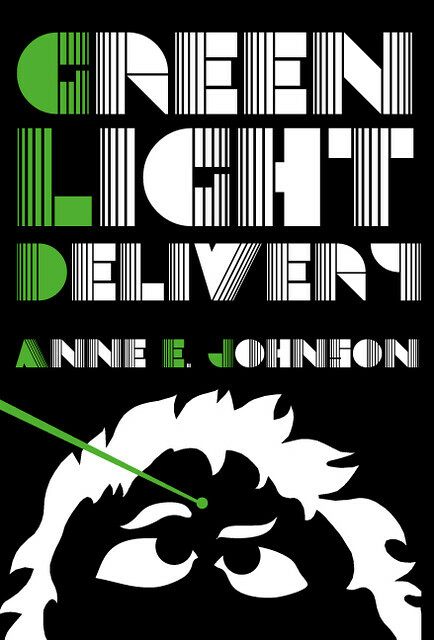 It looks from this fine preview that Green Light Delivery is well within the tradition of Asimov’s Foundation novels, where he battled on the plane of ideas between Historical Inevitability, and the role of the unusual leader in changing the course of History. Didn’t Michael Caine star in the film of this story? Seriously–adding this one to the basket. This isn’t the future, anyway; it’s an alternative universe, and the government is a mess. Things are falling apart. You and I are both prone to get sidetracked by shinny off-topic discussions, so this is not to start any discussions. But I just wanted to mention that Kissinger, like Zbigniew Brzezinski and so many other Machiavellis throughout history, is a prime example of how an incisive intellect can plan such brilliant strategies with essentially zero regard for Muphy’s Law. I think we need a Nobel Unintended Consequences Prize.